The AT&T version of LG G3 is known as LG G3 D850. This device fancies a 5.5-inch Quad-HD IPS display which has almost 4 times the usual resolution. This device has a unique 13MP OIS+ camera, with a laser auto focus technology which helps to measure the distance to the subject of picture. Under the hood, it has a 3000mAh Li-ion battery to power this massive device. To conduct the processing task, it has a 3 GB RAM and a Snapdragon 801 processor. This device was first hinted at in May, 2014 and came in to existence in June, 2014. In its early days, it was quite a competition for Samsung Galaxy S5, HTC One M8 and Sony Xperia Z2. Keeping the features in mind, this device can do a lot more than the usual if the internal locks are removed and the sub folders of Android can be accessed by root LG G3 D850. Many people are unaware of the fact that rooting the device is almost same as unlocking Administrative rights of the operating system in the device. The only issue lies here is to find a safe way to root LG G3 D850. However there is a good news for you, we have found a 100% secure and safe LG G3 D850 root. Let us take a look at its steps below for a successful LG D850 root. •	Do remember to keep your mobile battery charged for 80% or above to avoid the power off. •	Enable USB debugging of your device. Open Settings>Developer options>USB Debugging. If developer options can’t be found on the device then please go to Settings>General>About phone>Common>Software info (tap on it 5-8 times). •	Read the instructions and manuals - This is the most recommended instruction to do before you start. You must read and clear all your doubts regarding the step by step process before you start. Any wrong step or stuck at the mid way can brick or damage your device. So, be careful to follow the instructions step by step and don’t take any action unknowingly. •	Backup internal storage- Take a full back up of your device’s internal storage. As this is complicated process and any wrong step can lead to damage or corrupt all your important data. •	Disable firewall and antivirus- The antivirus and firewalls sometimes works as barrier for the rooting process. SO this is recommended to disable them before staring. •	Download the drivers – This is recommended to keep the drivers for the device handy downloading from the official website of LG. •	Learn the unrooting – After the successful rooting, some of the uses may not like the interface and the device state. Thus, this is recommended to learn how to unroot your device even before you face that situation. Now, when we have learnt what we should do before we start rooting LG G3 D850, lets discuss about the smartest and the most easiest rooting toolkit available in the market. Part 2: How to root LG D850 with Android Root? In this section we will learn how we can root LG D850 by using the dr.fone toolkit called the Android root from Wondershare. Now, the Android root is an excellent software which is easily available on their website for a free trial as well. The best feature of this software is that it provides rooting support to over 7000 devices and has an easy two step process for root. Due to its great features, the Android Root has the highest success rate in the industry in terms of rooting. Now that we know a little bit the Android Root software, let us take a look below and follow the following steps carefully for LG D850 root. Once download completes, install it on your PC and you should see the window as below. Click on the “Root” tab to begin LG G3 D850 root. Now, use your data cable to connect your device with your PC. Always remember to accept the USB debugging mode is prompted. After the successful connection, please click on “Start” to let the tool kit find the most convenient way of rooting your device. This process may take a few minutes so be patience. Now, when the Android Root has finished its searching for the proper way, it should prompt you with a option of “Root Now”. Click on that to proceed for the process. During the process another pop-up message will appear on the screen asking whether the user is sure to proceed with LG D850 root. Please tap on ‘CONFIRM’ option to continue the process of rooting your device. Just a few minutes wait and you will be successful in LG D850 root. So, this was the easy and simple process to root LG G3 D850, easy isn't it? 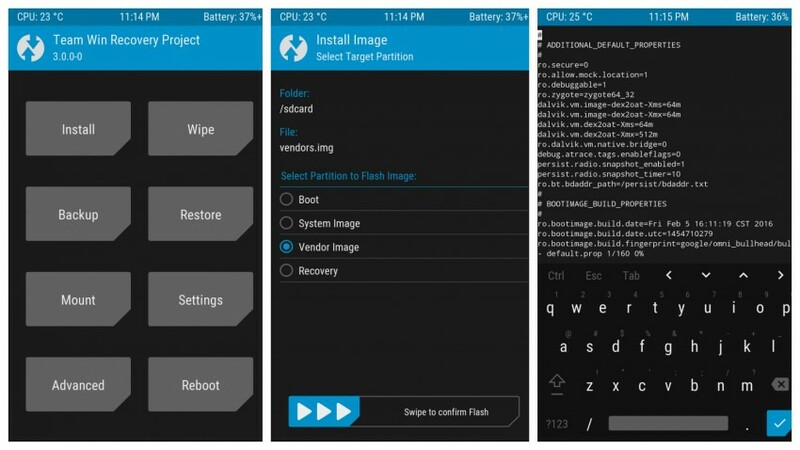 Part 3: How to install TWRP on LG D850? •	Then the users just need to open Flashify, browse and search for the TWRP and then they have to start installing it. •	This process will take a couple of minutes. •	Once this is over, you have been successful in your attempt to install TWRP. Enjoy my dear friends! •	You have been successful in your to your attempt to install custom recovery on your device. In the above article we learnt how to safely root LG G3 D850 and also the preparations that go before the process. However, rooting comes with its own set of risks like your D850 may get bricked or over heated and most importantly the warranty will become void. Still we would say that if you want get the highest level of performance from your phone, rooting is must, just makes sure that you use the safest process like the dr.fone toolkit-Android root.